Do you live in a big city or visit one weekly? No, not a city of half a million people. Duh, wasn't it obvious? Nikon 1, what a success. Sony RX100 series killed it. ...except they are selling very well. It's amazing what good ergonomics does for a camera. That's something the Nikon 1's sorely lacked. IMO, Sony could release something the likes for e mount. You don't need a lot of extrange lenses, you just put a 1" sensor, release a couple of pancakes, standard zooms and allow for mounting other e mount lenses designed for bigger formats like APSC. Building a 1" sensor system that has zero benefits and doesn't sit under the umbrella of other mirrorles designs. This allows for APSC and FF to further reduce their kit when they use lenses like the 16 2.8 (apsc), 24 2.8 samyang or 35 2.8 sony or samyang. Building this system when your other lenses are for DSLR's with one of the biggest flange distances (F mount) is ahuge mistake. Again, my opinion. The E mount is way too large for a 1" sensor. Heck, it was larger than the original Nex-5 camera body. No one wants such a camera. I still feel a premium level 1" sensor camera at Nikon 1 level prices has a niche, though. Think Contax G level premium. That system had six lenses overall. One thing I don't see mentioned much here is their AW1 body. It was their underwater, interchangeable lens camera. I never owned one and customer reviews on the ingress protection were mixed. Still, it was an interesting concept and it took guts to design and release that to the market. I will give Nikon a salute for effort at least! I had an AW1 and the concept was brilliant. Execution was the problem. My two bodies both had leaks and caused the lcd screen to fog up. I suspect a fixed lens body would have been much simpler and more reliable. The waterproof lens mount was a fatal flaw in what was a unique and very capable camera. Nikon 1's been such an out-of-place system from the beginning, I find myself wondering if Nikon conceived it as an expendable way to develop mirrorless technology without frightening off their core SLR market. If you think about the Nikon 1's burst rate and focus performance, update that a bit and pair it with a full-frame sensor and you've got a pretty compelling package. Always felt to me like their main intent for it was to develop and test technology and features for more serious DX/FX sized cameras that they'd bring out later. Still, there are quite a few CX lenses for it so maybe they have more of a long term plan. @sshoihet - Seems like an bad-- and expensive-- way to "develop and test technology", by building an entire system around a "test" when they could have done the same with an APS-C format system. Now the entire CX system is being scrapped. If they had chosen DX format from the beginning, that system could have gone through the same "develop and test" evolution as their CX system did, and it would have done better in the market because of the popularity of the APS-C/DX format in the ILC segment. They wouldn't be scrapping the entire system like they are doing now with CX. "Still, there are quite a few CX lenses for it so maybe they have more of a long term plan." What part of "officially discontinued" don't you understand? When Olympus "officially discontinued" their 4/3 system (in favor of the m4/3 mirrorless system), that meant the end of that system. There was no "maybe they..." with 4/3rds, even though there are "quite a few" 4/3rd lenses for it. @disraeli demon - "given what Nikon was doing back in 2011 with focussing on the CX models, I can see their new mirrorless system catching up to Sony in a couple of generations..."
It might be a little more complicated than that. Nikon was sourcing their CX sensors from Aptina, which was bought up by ON Semiconductor in June 2014. ON Semi shifted Aptina away from the photo industry to automotive sensors. Interestingly, Nikon's last major 1 series introduction, the V3, was introduced in March 2014 before Aptina got bought. It might be that Nikon's source of CX sensors simply dried up (probably after contractual obligations were met), and Nikon couldn't continue on with CX without Aptina. We don't know how much of "what Nikon was doing back in 2011 with focusing on the CX models" was Nikon's vs Aptina's tech. Regardless, Nikon is very dependent upon outside sources for their sensors, which puts them at a bit of a disadvantage. An unreliable company that doesn't respect its costumer, I will never invest in any nikon system again that's for sure. Yes, but to be honest, it is only true for Nikon 1 user. Why should i stop to "respect" Nikon when i have a D800 and a lot of glas? That makes no sense. Some nice offers going on. It's the perfect camera I don't need. Tempting. Disagree. I think this is actually the camera everyone should get. Or at least they should have, when it was new. A correction regarding Tetsuro Goto: when he gave that interview, he was no longer a director at Nikon, but an advisor. Who likes to see people fail? I certainly don't but I'm not surprised either. A few years ago, looking for a quality camera small enough to be carried around everyday, I considered buying one... didn't quite see the sense. While MFT offers a significant advantage of portability, the Nikon 1's advantage in this department wasn't so critical anymore. On the other hand image quality, specially in low light, was clearly not as good as MFT. I guess I've not been the only one thinking along these lines. I guess for quite a few years MFT will be the one end of the portability/image quality compromise spectrum, with Medium Format at the other. I'd already invested in µ4/3 when the Nikon 1 came along, but I remember noting that such primes as they had weren't significantly smaller or lighter than the µ4/3 ones. it's actually good, i really want to see a more serious mirrorless system from them, the Nikon 1 System is really a joke. it's good Nikon realize it now and move on to different system. Nikon could have easily turned the system around. Image quality is a very big thing when it comes to cameras, so there's no way the N1 could have cut into their DSLR sales. They had free reign on how serious the system could be. Nikon never knew how good the 1 series was. They botched the pricing, botched the features and botched the marketing. Despite this Nikon had a winner on their hands but never realised it. I have a V1 and apart from the hobbled way they executed it (what's wrong with PASM) it's not bad for a 1" sensor based system. Eh... I also had a V1 that I bought to try out when it went on clearance, and I was very unimpressed. Camera+lens was actually larger than equivalent M4/3 gear, picture quality was not notable... and for my normal subjects (landscape/architecture/museums), the fast focus and burst rate were irrelevant. Worst of all, though, were the V1's ergonomics; did not fit comfortably in the hand, and the mode dial was in exactly the wrong position to keep getting accidentally changed by my thumb. This was a sadly mis-executed system in many ways, but the stuff is surprisingly good, and if bought at the clearance prices, provides wonderful functionality and value, so long as you keep the ISOs low - although the J5 can handle ISO 3200. I own the V2, J4, and J5, and use them all. The J4 and it's superb WP-N3 Underwater housing makes a great underwater rig. I paid $250 for it all in, although original retail was 5 times as much. Right now, a J5 can be gotten for $250 and makes a very fine alternative to the RX100 series at a fraction of the price. If only the V2 had the J5 sensor or the J5 had the V2 EVF, it would be my main camera. Thread: "Nikon 1. Technologically fascinating, but a dead duck"
"You can hear Nikon's marketing people saying, 'Lets make a mirrorless system that can never threaten our dslr business. Keep the sensor small.' The engineers disagree, but the marketing people win the fight [saying]... 'Do whatever you want as long as the sensor is small, to keep this thing in the corral' So then the engineers, licking their wounds, throw the kitchen sink of new tricks into it, but can't produce a good low ISO IQ. It gets super high speed shooting and the fastest hybrid AF/PD of any camera. ...the price must be high, too high for any market this camera might appeal to." "a camera [that] makes no sense in the market, but it is a fascinating technological signal." As forecast, a new body and lens camera system that lasts only 5 years before being functionally discontinued is a huge failure. The best of this is that next time the engineers win. Such a good concept screwed up by poor operability and over optimistic pricing. I still can't bring myself to sell my J5 - partly because of my love for the 6.7-13mm zoom. I'm not convinced FF milc is the future though. As an aging populace, how many oldies want big/heavy lenses? I personally think the DL series would have been killer for Nikon. Yes, dropping the DL compacts seems like it was a big misstep, reputationally, for Nikon. Plus, I'd have been near the front of the queue for the 16-50 model. I knew (or believed) right from the beginning there was no future for this system. I think a lot of people saw it from the beginning. Still, some CEO's and product managers who earn a lot of money for their job, couldn't see it, lol. I tried finding a source online that shows their sales and profit figure for the system but didn't come up with any site. Can you show your source of information? Not that it is totally relevant to my point. Current profitability doesn't necessarily mean the product line will be successful in the future. I am still curious where you found your source of data. It may make sense to produce and sell a product just for the present time when it sells even if one knows it won't last long. Though I think managers at Nikon didn't think of it like that when they introduced the system. Sorry I was just guessing. I didn't said that Nikon earned money but the manager you mentioned in your initial post who made this bad decision :) They have their large salaries anyway I wanted to say. I thought this was already clear about a year ago. 1J5 is an amazing camera with hardly challenged price/weight/performance. Οh, those guys in Nikon..! Rest quietly in hell Nikon 1" system!!! Nikon does discontinue a recently introduced mirrorless mount. Nikon introduces a new mirrorless mount (Z). I didn‘t love the Nikon 1 when announced. Or anytime after. The RX100 and RX10 showed the huge potential of a 1“ sensor system. Don't forget exposure preview. Because the cameras worked in DSLR flying blind preview mode. 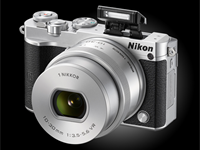 Nikon did enter the mirrorless market with this 1 series. Frankly, in 2018, I probably see more Samsung mirrorless in use than I see Canon mirrorless. I probably see more Nikon 1s than I see Canon mirrorless. My experience is different. I see some Canon mirrorless in use, not many but a few. I have never seen a Samsung or Nikon 1 in the wild, even though both used to be sold in my country (Sweden). I don't think anecdotal evidence about the number of cameras seen by any one individual is a very good indicator of sales, though. All I know is that, in Japan at least, Canon has been among the top 3 sellers (in terms of volume) in mirrorless for three years in a row, even slightly ahead of Sony for the last two years. I have found no numbers based on retail data for the rest of the world. No, I don't live in a big city or visit one weekly (we only have one city that would count as big according to your definition). But anecdotal evidence is still anecdotal evidence, even in a metropolitan area with several million people. I'm not really saying that I am right and you are wrong here, just that I wouldn't want to draw any conclusions from any of our observations. Big cities, like London, Berlin, Rome, and Paris, and Stockholm and Hong Kong, Moscow, Shanghai, etc get visitors from all over the world. And if the weather is good, visitors will be walking around by the thousands in public. Yes, of course, but the observations of an individual still count as anecdotal evidence. There's no way of telling if what you (or I) see is truly representative of what's actually out there. If we were to collect such observations from, say, hundreds or thousands of randomly chosen people, then we'd have a more reliable set of data. I sure see a lot of Leica Ms. I see many film SLRs. I see a lot of Qs, like the M, I don't see as many as I see of APSC DSLRs. It's not like I've seen many Nikon 1s, but I have seen them. I see more Samsung mirrorless though. Those "randomly chosen people" would have to meet the pre-condition of being interested in photography beyond the smartphone, which of course it what someone carrying a Canikon APSC DSLR in my city is. But the same goes for my other brand/type examples. Really enjoyed the V1 and some of the lenses. I stopped investing in the system relatively early as it felt under-supported after the first big bang launches (stuff shown as prototypes on launch never materialised or took way too long to do so). The V1 and some of the lenses were really nimble, fast to use, fun, and produced great output, except for night shots. I kept hoping for a resurrection, with newer sensor tech. Sad news today. You write just crap, dpfan. Read the links, i've posted - and btw, you've never ever used a Nikon 1 system - ppl like you, writing the Nikon 1 system down, are just trolls. IQ was fine for a 1" sensor, period,. I am using my V1 >6 years and counting. And to be honest when pixelpeeping no 10MP 1" sensor on this earth can compete with the 1" 20MP on the RX100. The V1 was my first Nikon and quickly made me hate Nikon for it. 4. Expensive and heavy OIS lenses. They actually fixed quite a bit of what was wrong with the V1 in the V2. 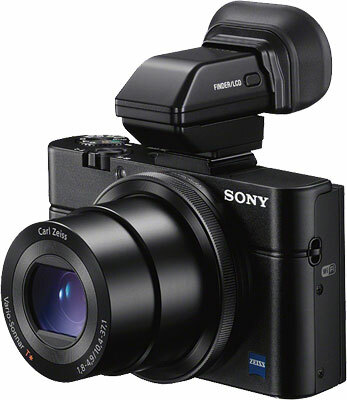 Although a V2 style camera with EVF with a standard hotshoe and the J5 sensor, priced at ~$700 for the body, ~799 with a kit lens, would have succeeded, I am certain, compared to Sony's RX100 and RX10 series. I have crushed my Nikon J5 camera in the workshop vice this morning as soon as I heard the news that it was dead. I love my 1 system cameras. so underrated. No! Elvis has just left the building. No wonder: Cameras and lenses way too big for the tiny sensor. how much smaller would you suggest the J5 should have been? No one inch is’ to buy. I liked and enjoyed my J5 with kit lens and the "50"
( 18.5 1.8) and still have it. Yes they killed it with pricing and not sensible lens line up for the most part ( missing more cheap 1.8 primes especially) but lot of people will miss it. Dunno. I bought the J5 twice, and failed to warm up to it. AF was just too slow vs the claims, adapted lens use (with Nikkor lenses, even) was even slower, DR was weak, no exposure preview, weak flash, etc. My RX100 I is still around, though. Idk man... to each his own i suppose. I never warmed up to fuji for example. Tried with 3 bodies and like 6 lenses over time. If i could buy "18-35" wide angle again and possibly get good deal on 32 1.2 id do it maybe there will be some great deals on ebay soon. Maybe not because some people still love the system and will pay premium for disappearing inventory of ppl willing to sell it . "Full frame is the trend" is true, for the type of photographer that Nikon can make money from. And 90% of their lens catalogue is full frame, too. "And 90% of their lens catalogue is full frame, too." That's always going to be the case for any dual format (APS-C/FF) system because there's not much point in duplicating most lenses-- one for APS-C and one for FF. Look at DSLRs. Most DSLR lenses are FF, but most DSLRs sold are APS-C. The same will be true of mirrorless once everyone has built out their APS-C/FF mirrorless systems. The only exceptions are for systems that are exclusively APS-C-- no FF option-- such as Fuji's X system and Samsung's now-discontinued NX system. But in the long run, Sony, Canon, and Nikon will all have dual-format APS-C/FF mirrorless systems. And most of their lenses will be FF, just like it is with DSLRs. ...and I would be willing to bet that, even though they sell more APS-C cameras than 35mm cameras, the majority of their separate lens sales are for 35mm camera owners, and the vast majority of their separate lens sales for APS-C cameras are crop-sensor lenses. It really is true that 35mm cameras is where Nikon can make money. @TN Args - Regardless of the makeup of sales, it would be suicide for a manufacturer to go exclusively FF. It would eliminate a lower point of entry for many users, create fewer options for users, shut out many potential users, and make the system less attractive. You can kiss all of those Rebel and D3400 sales goodbye! They'll just go elsewhere, to a company that does offer APS-C. And once they go elsewhere, they are not going to grow into the system to the point where they might graduate to FF. As for making dirty-cheap FF bodies, that just rips a huge hole in their profits because FF bodies are more expensive to make than APS-C bodies because they have bigger sensors, bigger viewfinders, bigger everything. APS-C may not be as glamours as FF, but don't underestimate the significant importance of APS-C camera sales. If Nikon chose to eliminate APS-C from their mirrorless strategy, that would be as dumb as choosing 1" format for a mirrorless system. But NIkon might be that dumb. Yes I am still bitter about the whole sorry episode. The V1 and J1 were good cameras, ahead of their time, but Nikon completely fumbled the launch pricing and messaging, and then proceeded to lose control of the narrative and Sony, especially, went and stomped all over them. The unfairness still smarts: Sony RX-100 series are held in high regard and worth paying $1000+ for because they have a 1" sensor, but Nikon 1 is derided for having a 1" sensor and any camera/lens combination over $350 is considered overpriced. Because "pocketable" or some such dross. Yeah could never figure out why the RX series was held in such high regard compared to this very capable camera. Clearly there is something to the Sony marketing everyone talks about. I don't think the childish colour options did them any favours whilst they were positioning themselves for anything better than lowest quality. The colour options should perhaps have come only once the line became accepted by reviewers and users. Smartphones have arguably already broken the compacts market, so I wonder if this line was positioned marketing-wise too closely to compacts / basic users (and without an upgrade path) as to make it hard to sell? FrequencyDncer - entirely agree. I did buy a V3 when I had the chance of a really good deal. Although in the minority (apparently) I felt the modular design was great - mini DSLR feel, or smaller if needed. It was (still is) my main camera on overseas trip (S.Africa, Canada, USA etc) and performed superbly - especially the unique CX70-300. Nikon could/should have had a winner but the lunatics took over the asylum at launch. In the beginning, it was most likely because Sony was a few months behind Nikon with the RX100, so Nikon had to go to Aptina for a sensor. Unless they signed a long(ish) term agreement, Nikon should have quickly switched to Sony's sensor in the second round of cameras. But it took the sale of Aptina for Nikon to switch, and right at the very last N1 they produced (J5). Image quality certainly hurt them in sales, as even base ISO images were noisy, and DR was Canon-level. Funny, because Nikon tried again later to break away from Sony sensors (D7100 x Toshiba), and image quality took a big hit again. It took a lot of sensor massaging for Toshiba to get back in the running with the D7200. If Nikon had added the Sony 1" sensor anywhere else along the line, I would have jumped in. 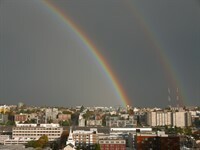 But I held off until the J5 because of the poor image quality. Unfortunately, that camera's performance didn't live up to the hype, beyond the sensor. @Zdman - "Yeah could never figure out why the RX series was held in such high regard compared to this very capable camera." Probably because the RX series represents the best of compact cameras, while the 1 series represents the least good of interchangeable lens cameras. A 1" sensor is fantastic for the compact camera category, but it's the weakest format for the interchangeable lens camera category. I've never viewed "compact" as a category, instead I see it as a size specification. The Nikon 1 cameras were compact, the Sony slightly more compact, but gave up the flexibility of the lens mount in return. So while I get the "N1 had poor IQ vis. other ILC" argument, I've always felt it double-jeopardy to ding Nikon 1 for the small sensor and then complain it was larger than the RX100. @Richard Murdey - "Compact" is definitely a category of camera. They are characterized as being cameras that have non-interchangeable lenses. 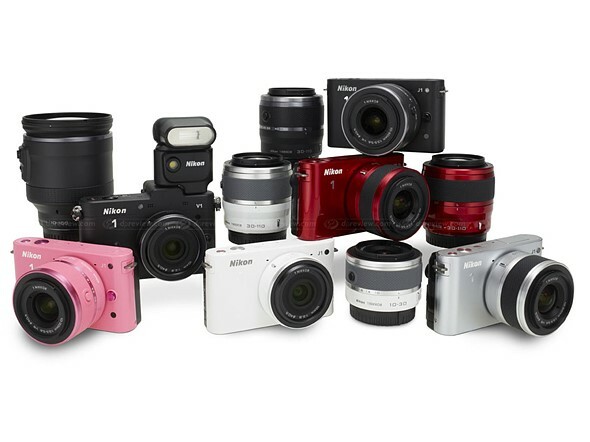 Interchangeable lens cameras is another category of cameras. They are characterized by having removable lenses. 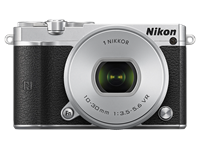 Many consider RX100's were the best of the compacts thanks to their 1" sensor, and many consider the Nikon 1's to be the worst of the ILC's thanks their 1" sensors. So as you can see, the same sized sensor, used in two different categories of cameras can result in two very different perceptions/receptions. I know "compact" is considered a category of camera. What I'm saying is the division is artificial and counterproductive when considering cameras like the V1/J1 or GM1 or even the smaller Canon M bodies. Think of it another way: if the lens on the RX100 could be removed, why should anyone consider it in a worse light just because it is now an ILC? @Richard Murdey - "Think of it another way: if the lens on the RX100 could be removed, why should anyone consider it in a worse light just because it is now an ILC?" If the RX100 was an ILC system camera, then it would definitely be considered in a different (worse) light, because people generally don't want to invest in a system that is built around such a small format. The harsh reality is that most people don't want a system camera that uses anything smaller than m4/3. I think that's the bare minimum that people would prefer for a camera system. People feel that anything smaller than that belongs in a compact camera, not in a full-fledged camera system. That's why the Nikon 1 is now a dead system: it opted for a sensor format that is associated more with compact cameras than with ILC systems. "If the RX100 was an ILC system camera, then it would definitely be considered in a different (worse) light, because people generally don't want to invest in a system that is built around such a small format." That's an interesting take representative of what I'd call the conventional wisdom, and it serves as a good illustration of why I find the whole compact/ILC distinction so bizarre. What investment? The camera would cost as much, and work exactly the same way, provided you never switched lenses. Nothing changes but for some extra added opportunity. Most Nikon J1 buyers used it just like you'd use a Sony RX100. One lens, the kit zoom, as a compact, convenient, casual camera for travel or general use. The downside was it was a little bit bigger, the upside was it was a fair bit cheaper and could be used with other lenses optionally. Overall though they were more alike than they were different however. When I was in Tokyo this spring, I was shocked how many young women had those stylish Fujifilm XA cameras with no viewfinder. Usually in a "cute" color and used with only the kit lens or a small prime. A lot of the obvious tourists, including myself, had 1" sensor compacts. Not many SLR, but a few. When you talk Fuji there is no "only" the kit lens. And I see many full framed cameras on the streets of my US city. Now right, I see more APSC bodies than full framed. I don't have sales numbers. It's not as if all of the full framed bodies I see are something like a Nikon D5. I see the smaller (and miss distinguishing too I'm sure) Canon 5Ds and Nikon D810/750s. But two full framed cameras I see with some frequency (more than Sony A7/A9 cameras) are the Leica M (various) and the Leica Q. What sells is PRICE. Most people buying a camera aren't looking to spend $1000+ just on the body. A 1st gen A7 body is currently priced at $1000. The A7II is currently $1400. An A7III is $2000. That's a lot of money for most consumers looking to buy a camera. Meanwhile an A6000 is only $550, A6300 is $800, and A6500 is $1050. APS-C bodies are far cheaper, and much more within affordable reach of most consumers. Sony's newest, best, most advanced, top-of-the-line flagship APS-C body is just $50 more expensive than Sony's oldest, cheapest, slowest, weakest FF body! Don't underestimate the impact of price. Consumers are price-conscious. FF might be an aspirational goal for some people, but it's not as affordable, and most people don't even want/need it, especially when it can cost so much more. What killed it for me was something very basic: putting Micro-SD cards in the V3, so all my high quality SD cards were unusable. I'd have got a V3 if it had SD. That and the expensive clip on EVF. Though realistically neither of these factors were instrumental in the demise of N1. Nikon's stupid decision to give these cameras non-standard proprietary hotshoes didn't help either. The fact that these cameras couldn't even use Nikon hotshoe flashes was lame. I don't know, I thought the mini bounce flash that needed no batteries was pretty nifty. @tkbslc It was, it was. The people clamoring for a standard hot shoe have a point, but no one would realistically be putting their SB-800s on a V1 anyway. If they'd had added wireless commander modes to the SB-N5 I would have been set. c'mon tons of cameras & devices are using microSD cards, I don't see any problem here. What "high quality" SDs are you so sad about? @tkbslc - A mini bounce flash does not require a totally non-standard hotshoe. They could have just as easily used a standard hotshoe, and still made a very small hotshoe flash for these cameras. @T3 that would have meant giving up the multipupose nature of the accessory port. i.e. using the GPS, or for the V3, the EVF. The accessory port was a neat idea, but was never really fully capitalized on. @Richard Murdey - That was a bag technical decision on Nikon's part. Sony's "Multi Interface" hotshoes are standard hotshoes that have accessory port contacts integrated into them. This allows you to have a regular hotshoe that will still allow you to add various accessories. A third issue is that I think it was premature. At the time of introduction, the 1" sensor was just not ready. Nikon should have gone with APS sensors instead. Today the 1" sensor has matured and now is when they should have been introducing a Nikon 1 system, assuming they were to market and price it correctly. Instead of 1". had Nikon come out with an APS mirrorless system, today Nikon would be sitting pretty. Indeed, that is a huge mistake that costs Nikon very badly. Godspks - spot on summary. Although I became a fan of N1 via the fire sale that doesn’t mean I’m blind to Nikon’s ridiculous design/marketing/pricing etc etc. I’ve had published work from it (especially the brilliant CX 70-300) but I feel both sad and angry that it was way ahead in some respects at launch but the lunatics in the asylum at the time completely screwed it in others. That's why I bought 2 1V1 back then and later 1j5. No, it was a series of small mistakes, all of which could have been rectified with some effort. 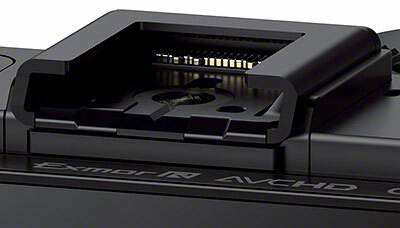 While it was the first raw capable camera with on image sensor phase detect AF. And its raw frame rate is still astounding. @HowaboutRAW - I don't know how they could have rectified the BIG mistake of making this a 1" format system. No amount of effort could have rectified that major issue except for scrapping the entire system and starting over...which is exactly what Nikon is now doing. Yes remember that insane frame rates in raw? We used to shoot 4K 60p (2-second slo-mo sequences) with that insane burst, back when there was no 4K cameras under cinema stuff. And what's awefully better, 4K 14bit RAW! Still not available today. If you have the time watch some on vimeo at full res. The "1 inch" factor is hardly a problem for this camera system. It's things like pricing, not having more than one model with a built in EVF, and not launching the system with faster lenses--that last Nikon did mostly fix. Now Nikon shouldn't have ignored other bigger mirrorless sensor sizes for so long. I have a J3 and a V2. The V2 coupled with the 70-300 is a great combo and excellent to take into sports grounds without raising ire. The results the cam gives is amazing. However I have always felt the 1 series is an ideal case study for industrial design and marketing students on how to bugger up an otherwise great idea. At least Nikon have let us know. Now Mr Nikon no more experimenting please, just give us a D850M. but - you need nearly perfect lighting to get anything usable from the V2-70-300 combo... took it to Alaska and thought it was amazing.. but we had really great sunny weather. Nikon clearing house for the mirrorless FF. 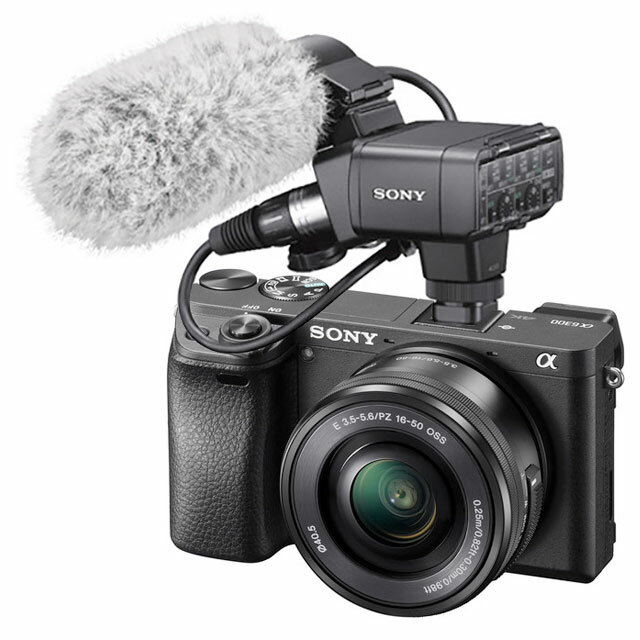 They re going straight for the jugular of the Sony A73, specs are very impressive and with much better ergonomics. People will soon forget about Nikon 1. I think the Nikon 1 Could have been successful if it wasn't so ugly. What were they thinking? the could have totally went for a retro rangefinder feel. Care to share the sneak peek you got? If the DLs and Nikon 1 are any indication, Nikon will almost assuredly fumble a number of things on their first try. This is especially so as their corporate governance is quite awkward, and the designers and engineers probably had to cut a number of features out of the rumored new mirrorless to avoid overshadowing the DSLRs. If you're looking for a product clearly superior to the A7M3, you'll have to wait at least until version 2 of the Nikon mirrorless. @thx1138 - Nikon does not have a good track record outside of DSLRs, especially with "first efforts." DL series: dead. Nikon 1 series: dead. The market is slowly dividing into two extremes, cell phones for amateurs and FF for serious photographers. APS-C will linger for a while but will gradually diminish. I could never see any rational for the M4/3 cameras. And yet I see plenty of Fuji X bodies on the street, see Samsung (yes) and Sony APSC bodies too. Then of course I see hundreds of APSC Canikon DSLRs on the streets. We have no way of knowing what will happen with APS but given the price difference, it seems likely some people will want interchangable lens cameras that are smaller, lighter and above all, cheaper than full frame. m43 is a tough sell, but it's still the largest sensor that lets you build a system comparable in size and weight to a 35mm rangefinder outfit, even though the m43 sensor is much smaller than 35mm. But that's just a failing of digital. A complete Fuji outfit is the same size as an equivalent SLR outfit. The bulk of sales is still APS-C. And APS-C is still the sweet spot for price/performance. So say that you either have to use a smartphone, or jump all the way up to a FF camera, is simply absurd. Also, to imply that "amateurs" are just going to use smartphones is equally absurd. Instead, you should think of it this way: people who are going to just use their smartphone because that's what they have, versus people who will buy a separate stand-alone camera. And amongst those who do buy a stand-alone camera, you can divide that group into "amateurs" and "serious" (ie. pro) photographers. The harsh reality is that most shooters can't afford FF, or don't want to spend the money for FF, or don't see the need/value of spending more for FF over APS-C. And this includes many "serious" photographers. Amateur wildlife photographers like M43. If you do a lot of telephoto work, it's much cheaper and easier to deal with than FF, and you can get excellent images with it. I'm speaking of long term trends. Smartphones have killed the "point and shoot" bodies that were so popular only a few years ago, based not on increased quality but primarily on convenience. Likewise FF bodies as their price drops are making inroads into the APS-C bodies. The divide is based on desire. For those who want convenience over quality Smartphones win, for those who value quality over convenience FF wins. For those who would like to afford a FF body but can't APS-C is the compromise. But the DESIRE is still for a FF body. So as the FF price drops the next body many will purchase will be FF not another APS-C. So over the next 5-10 years the ratio of FF to APS-C will gradually shift towards FF. The price of good full framed digital lenses is NOT dropping very quickly. More like going up. There are all sorts of reasons to NOT desire a full framed digital body. As for FF lenses being expensive, if you're shooting a mirrorless body there are any number of cheap good quality lenses available. For instance I have a 1980s Tamron 90mm macro f2.5 that is excellent but can be bought on eBay for under $100. I also own an excellent Pentax 135 f3.5 K that can be bought for under $50. If there were ONLY two choices, full-frame or smartphone, I'd pick smartphone every time, that's how much I don't want full-frame. Until then I'm happy with APS-C and 1" sensor cameras, thank you very much. @digitallollygag - Yeah, the reality is that if there is only FF or smartphone, that will only accelerate the decline of the stand-alone camera. It would be suicide for the interchangeable lens camera industry to only offer FF. FF is great, but it's not for everyone who wants to get into ILC. I'm perfectly happy with APS-C. Yes, phones replaced point&shoots, but they will not replace system cameras i.m.o. P&S users were mostly NOT hobby photographers. They just wanted the snapshot that they now get more easily with their phone. Hobbyists need the handling and flexibility of a system camera. Most of them do not need or want FF, because it is heavy and the additional IQ is negligible for most. Right, you can mount all sorts of decent lenses on mirrorless bodies. Couple things, generally APSC will exclude the weaker part of the lenses, unless the lenses was designed for full framed digital (those not being cheap). And of course, you have to manual focus lenses from the 1970s into the 1990s and later. Logical evolution after DL abandon. Smaller sensors will only remain for mega zoom application. Nikon is moving on FF mirorless, just like Canon. Time to concentrate on the real thing. Actually... A hypothetical Nikon 1 V5 with a new 1" sensor from SONY with a hypothetical 200-500 Nikon 1 lens would be a better option for daylight birding and safari and nighttime moon shots then the recent P1000 with it's tiny sensor! It's unfortunate that Nikon is completely killing the Nikon 1 system rather than updating it in a way that leverages potential strengths. With a 1" sensor the system was never going to be more than a niche system. But what a niche it could be for birding, safari, etc. 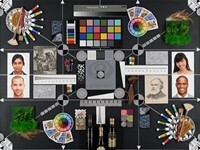 @Daniel Lee Taylor - The problem is that Nikon just doesn't have the resources. They have limited bandwidth. That's the case with most companies. But probably more so for Nikon, because Nikon just isn't that big. Actually, Nikon has discovered the benefits of small sensors and came up with the Coolpix P1000 as a replacement for its 1 system. I see no benefits of the P1000. Give me that Sony RX10III any day of the year. I liked the N1 system. I had two cameras an four lenses. I wanted better than a compact camera with a tiny sensor but no interest in FF. The lenses for this system were so compact and great for travel. Micro 4/3rds was the next logical step for me. The cameras and lenses are a bit larger, but still reasonably small. MFT has a good lineup of lenses and you can adapt old manual lenses. Nikon crippled that with the N1 cameras. In hind sight, I should have gone straight to MFT. If they could re-engineer this system to make it waterproof, I'd buy one. Only the model with a built in EVF would appeal to me. I want a ruggedized camera that I can use on the beach and rain and snorkeling. There is one waterproof p&s that has an EVF but does not shoot raw. The one that does shoot raw does not have an EVF. And they have tiny sensors. So one inch sensor minimum, EVF, waterproof to 30' or so, RAW, decent zoom if interchangeable lenses are too difficult to seal. No EVF on that. But it comes close. The reviews on B&H has people complaining about water leakage. The only sad thing about the loss of this system is the size. Everyone wants a tiny mirrorless camera these days. I myself am on the hunt for a Red Lumix GM5, as my 'lifestyle' camera. I just want something in my favorite color to show the world that "Hey, I already have my big professional FF cam, this is my screw around guy for casual photo taking." Except that since it is not my big professional FF camera I only want to spend a couple hundred. Not several. A couple. instead the back dial was useless nonsense , psam and iso were buried in menus??? and a propriety hotshot polluted to top plate. Nikon's suggestion was for you to buy their full frame DSLR if you wanted a real camera. That was the real problem of the Nikon 1 system. If Nikon does release a new FF mirrorless with a new lens system, this discontinuance will give potential customers pause. Glass is expensive and it all turns to junk when a format is discontinued. I would think that they would be smart enough to just adapt their DSLR lenses to the new mirrorless bodies. If they don't I think you can say bye bye to Nikon. How is it when Sony adapts their legacy glass to their new mirrorless, it's considered a crutch, but when Nikon does the same, it will save their company? @BlueBomberTurbo Relative number of customers with legacy glass, maybe? I think it would be a marketing disaster for Nikon to not adapt their existing lenses to a new system. Many of their existing lenses are still some of the best on the market and as @quiquae stated, there are a lot more out there in the hands of photographers. The problem with adapting SLR glass is the long back focus distance and the resultant camera size. It negates one of the key selling points of mirrorless. Canon may have a limited lens offering for the M-line, but the lenses are all very small (and quite sharp BTW), with the result that Canon competes well with Sony crop frame mirrorless in many market spaces. With really big glass, mirrorless has little to offer over an SLR with live view. In that case, a tiny camera body is just plain hard to use and the real time property of the OVF is still a big plus in many situations. Certainly, any Nikon FF mirrorless will have an adapter to support the SLR glass, but to be competitive it will have to offer small, short back focus, glass as well. But we are talking FF not cropped and as of yet, no ILC brand has done much to solve the physics of being able to produce smaller FF lenses especially fast ones. Reality is that Fuji and Olympus are dominating the cropped sensor market for enthusiasts. It's those retro bodies. "Who's talking about Sony? " EF mount suffers from none of the legacy issues A mount had to deal with, making adapter design easy. F mount does have some in-body motor issue, but Nikon had been busy phasing that out, and they certainly won’t try to stick a mirror into the adapter like Sony tried with LA-EA4. There are good reasons to expect both to have much better adapter experience than what Sony was able to offer for the A mount.